You may want to try this out! Having vacation and save money at the same time. But then you have to know some tips and how to spend with limited funds. For example, when you visit Yogyakarta, you can spend only $ 200. Well, you just need to follow a few steps as explained in the following article. Hence the best hotels in Yogyakarta with affordable price tourist and favorite. When you are traveling in Yogyakarta, it is very important to choose mode of transportation which is cheap and convenient. It is different if you are in Jakarta, of course, there are many choices that you can use such as trains, buses, private cars, motorbikes and so on. Something that isn’t less crucial is you should also spend your budget on food and inn besides transportation. So it’s wiser to ride on a cheap,fast, yet comfortable transportation. The interesting facts of Little Seoul in Yogyakarta Indonesia. In addition to affordable transportation, you also have to be smart to find lodging places at low cost. Aside from being cheap, make sure that your accommodation is worth to stay in. But don’t simply choose any cheap accommodation without considering the comfort level. You should not eliminate the essences of the main element of a place to live. 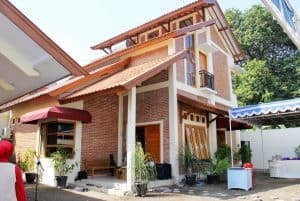 Yogyakarta is famous for its affordable accommodations, there are several strategic areas that you can choose for example in the Malioboro area, Magelang, and so on. Search for a cheap accommodation based on your criteria. The other tip to travel around Yogyakarta with only $ 200 is you must be adept at determining which destinations are cheap yet fun. It doesn’t have to be too expensive as long as it is comfortable and make you happy. There are many holiday activities that you can do while in Yogyakarta such as hanging out at Malioboro at night, outdoor activities such as leisurely walking around, visiting museums, walking to the art market, mountain climbing, and many others. Make this opportunity an insight into your vacation in Yogyakarta. The things you may concern when you live in Yogyakarta Indonesia. Choosing an affordable place to eat won’t be too confusing, moreover for you and your frugality. 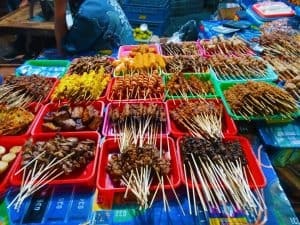 In Yogyakarta, don’t be afraid to find cheap and delicious places to eat, along Malioboro Street and its surroundings, there are lots of street-style snacks that serve typical and other food menus with a variety of flavors as well as prices. Those of you who like market snacks such as nasi kucing and other menus, can try it in various specialty shops in Yogyakarta, you will feel at home because of the relaxed atmosphere and lots of lively entertainment. When you go on vacation especially to Yogyakarta, generally you will eager to buy lots of souvenirs as a holiday souvenir. However, keep in mind that not all of the souvenirs you buy will be cheap. Moreover, those art crafts souvenir such as clothes, batik, shoes, bags and so on. If you want to save money then you have to be smart to choose which souvenirs are cheap but memorable. There are many inexpensive souvenir choices that you can get in traditional markets, in addition to the cheap choices of various types of typical Yogyakarta products. The reasons why you must visit Yogyakarta. Next tips for travel around Yogyakarta with $ 200 is by driving on your own. To save your road costs, you can rent a motorbike while you are in Yogyakarta. 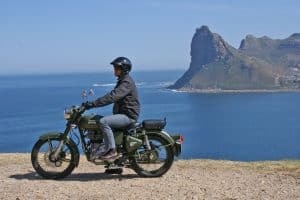 It is believed that if you rent a motorbike, the price is cheaper, and you can go anywhere without fear of losing a bus or other modes. Besides that, motorbike is very practical, good maintenance as well as the cost. So you don’t have to worry about over-budgeting. In addition to vacation, of course, you will also want to try to know more about Yogyakarta from various angles. One of them is by hanging out at Malioboro and several hangouts in the center of Yogyakarta. Every night it’s always crowded here, it will be more crowded if you came late at night. You can choose which place suits your tastes, each hangout places represent unique and contemporary specialties, so you won’t be bored or fear of losing your appetite. Read also the souvenirs that must buy in Yogyakarta. The tips for traveling around Yogyakarta with only $ 200 is to invite friends who are interested to go traveling with you. If you invited a friend or partner who is as frugal as you or prefer a backpacker-style vacation, it will be much more fun too. It is because they know how much money they should save and how much money must be spent. Managing funds need a commitment because otherwise, you will concede. Without any intention to be stingy or pinchpenny, we should always record the budget spent in every activities. Because with this note, you can know how much funds you have spent, so you will be more careful next time. Also, this is a good way to avoid running out of cash. Hence finding the best Hotels in Yogyakarta Indonesia. Many local travels offer cheap and complete travel packages. Well, if you want to use this type of package, then know in detail what are the facilities and convenience. Do not let down your guard because of the low price. Make sure you won’t feel disappointed in the facilities and services provided. Always compare the prices of each travel packages and backpacker-style travel costs! Thus you will know which one is more affordable. If you want to shop, then don’t shop at the shopping mall or supermarkets that are expensive. Just choose the traditional market because their prices are competitive, negotiable and reasonable. Perhaps if you have a coupon or voucher, you can use them. It will really help to save some costs, for example, food, beverage, transportation or hotel coupons. You can use the coupon with a pretty good profit for travel funds. The popular food in Yogyakarta you must try. You also have to do some calculations and count the vacation limits in accordance with the funds you have. Because if you don’t do this, then your funds will run out and you will feel confused about how to cover the lack of funds. Well, those are some examples and explanations about tips for travel around Yogyakarta with $ 200. Hopefully, it is useful for your preparation while you are going on vacation to Yogyakarta. Good luck.